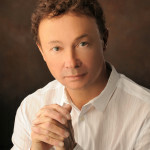 Dr. William R. Marchand is an academic psychiatrist, author and mindfulness teacher. He is the author of Depression and Bipolar Disorder: Your Guide to Recovery, the forthcoming Living Mindfully with Bipolar Disorder as well as many scientific publications. His personal mindfulness practice is as an ordained monk in the Soto Zen tradition. Dr. Marchand combines the latest research in psychiatry and neuroscience with the ancient wisdom of meditation practices to help others live happier and more satisfying lives through mindfulness. His book, Depression and Bipolar Disorder: Your Guide to Recovery is a comprehensive guide to recovery for individuals (and their loved ones) with mood disorders. It stresses the value of using mindfulness interventions as a component of the healing process. It also provides detailed information about pharmacological and psychotherapy interventions and how to work most effectively with treating clinicians. One aim is to help clinicians work more effectively with patients/clients. The book is a comprehensive guide to recovery for individuals (and their loved ones) with mood disorders. It stresses the value of using mindfulness interventions as a component of the healing process. It also provides detailed information about pharmacological and psychotherapy interventions and how to work most effectively with treating clinicians. One aim is to help clinicians work more effectively with patients/clients. Q: What causes mental illness? A: There are genetic and environmental factors that can cause mental illness. The genetic component is stronger for some disorders than others. For example, bipolar disorder has a very strong genetic component. For others, such as PTSD, the environmental component is very strong. Both genetic and environmental factors (such as stress, trauma exposure, etc.) change brain function leading to the manifestation of the disorder. Additionally, thinking patterns and behaviors contribute to these conditions. Q: At what stage is mental illness considered dangerous? A: When there is evidence that a person with a mental illness represents an immediate danger to self or others. For example, if an individual is having serious thoughts about harming self or others. Another possibility would be if the person is so ill that she or he cannot take care of their basic needs for survival, such as food, clothing or shelter. Q: Are there ‘modern treatments in the last 50 years, besides medication? A: Yes, an number of psychotherapy treatments have been developed and tested, such as Cognitive Therapy, Dialectical Behavior Therapy and others. Recent studies also indicate that mindfulness meditation is an effective adjunctive (secondary) treatment for some disorders. A: There is no cure. Most mental disorders are chronic, meaning once an individual has a disorder there is a risk it will come back again – even after successful treatment. Some disorders, such as bipolar disorder, are more likely to be recurrent than others. The good news is that with appropriate treatment, long-term remission is often possible. For many disorders, this often involves a combination of medication and psychotherapy. Q: When is hospitalization recommended? A: Hospitalization is generally only recommended if an individual is an immediate danger to self or others or if symptoms are so severe that outpatient treatment is not feasible. Q: How do teens with severe mental disorders differ from adults? A: One major difference is that teens are still in the developmental stage of life and thus the illness often impacts their psychological development. Q: What can family/friends do to support a mentally ill teen, both in and out of institutions? A: Of course providing love and emotional support is critical. It is also imperative for parents/family/friends to learn as much as possible about the disorder(s). Q. You’ve been diagnosed by doctors. What were your previous diagnoses? A . As a young adult I was diagnosed with mood disorders, NOS (Not Otherwise Specified). As a mature adult, I was diagnosed with PTSD (Post Traumatic Stress Disorder) and Bipolar. Q. When you were younger, did you suffer from these concerns? A. Teachers and family tried, but thought I was going through abandonment issues, separation, and extreme depression. Q. Did you know what was going on? At one point, you said you ‘heard voices.’ What did those voices sound like? A. I am not sure how things are going. I am just starting new medication. I am afraid to take to my bed. The recent voices are caused by medication change. They are really mean and cruel voices, saying they will hurt me, or I am going to hurt. Q. What can someone do to help people who struggle with bipolar, depression and hear voices? A. Just be loving and supportive, understand but do not judge me, not yelling or threatening me, calling me names. Q. What would you recommend a friend, family member do to help someone in your situation find treatment? A. People can read up on causes for these symptoms. Information helps, especially if they live with someone with these problems, they should be aware. Hopefully the voices are not as loud. The medication helps, supports or stabilizes my mood swings. I don’t see changes yet, but I am getting proper care. It can really scare you.